If you’ve been following me on social media you may know that I’ve been suffering problems with my wrist lately. Long story short, for the past five weeks or so, my right wrist starts ‘clicking’ after about 15 minutes of computer use (be it keyboard or mouse), and if I continue to do it, it gets to the point where my hand locks up and can only ‘snap’ into an open or closed position. It’s not nice. My doctor is treating it as a bad case of RSI for now and he’s instructed me to take the next few weeks off work and refrain from any typing (I’m writing this out on my phone with my left hand – bless you, Google Keyboard). I really don’t want to stop doing Tired Old Hack stuff, but writing long articles is now out of the question and doing edited videos is too (because I’d be using the mouse for hours at a time). My solution, then, is to bring back Gemhunter. Gemhunter was a daft video series I started a couple of years ago, in which I tried out obscure and less commonly known retro games to see if they were actually hidden gems. I only made three episodes before work at CVG started getting busy and I put my video content aside. 1) Playing games doesn’t affect my hand. Thankfully, the type of RSI I have is on the tendons on the right side of my right hand (where the pinky is), which means holding a controller doesn’t hinder the healing process – instead of exacerbating the strain by holding my hand out in the typing/mouse position, those tendons are resting and the thumbs are doing the work instead. 2) It involves no computer work with the right hand. Part of the ‘gimmick’ of Gemhunter is that while I’m discovering these games for the first time, you’re discovering them with me. As such, there’s no editing. This means all I need to do is start the game, start my video grabber and start my audio recording, which can all be done with my left hand on the mouse. 3) I have a load of crappy games I want to try. My big life ambition is to eventually be a sort of console game historian, so I’ve got a load of older obscure games (some would call most of it shovelware) sitting here that I want to play through to increase my knowledge. 99.9% of them will be shite, but that’s part of the fun of Gemhunter: you’ll either enjoy me suffering a bad game, or share in the excitement when maybe, just maybe, I come across a hidden gem. – the into sequence was deliberately bad. 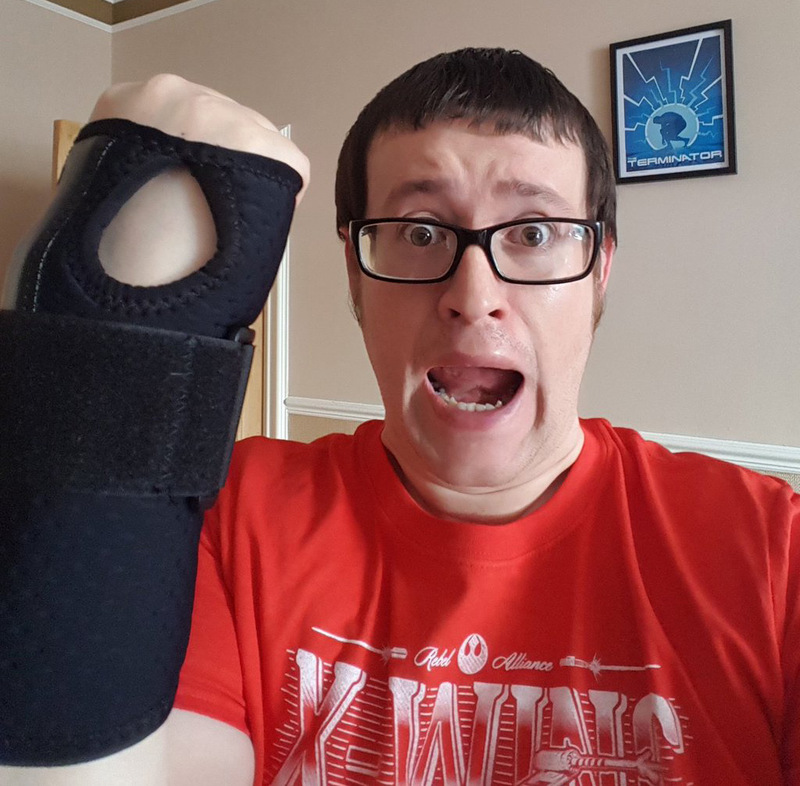 If someone with video skills wants to save my wrist by making me a quick and snazzy new one, please tweet me: I will gratefully accept and credit you in every video’s ‘about’ bit on YouTube. Cold Fear and/or Martian Gothic Unification please. Don’t worry – they’re both console games. Nice one, will hunt them down. Thanks!